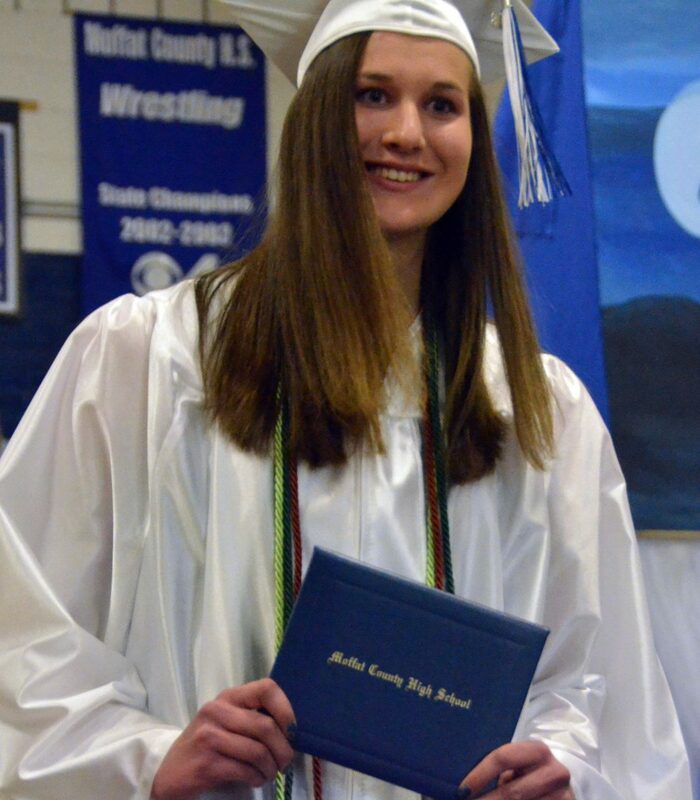 Moffat County High School's Katie Haskins poses with her diploma during Saturday's graduation ceremony. Moffat County High School's Valerie Piceno-Moreno receives her diploma during Saturday's graduation ceremony. 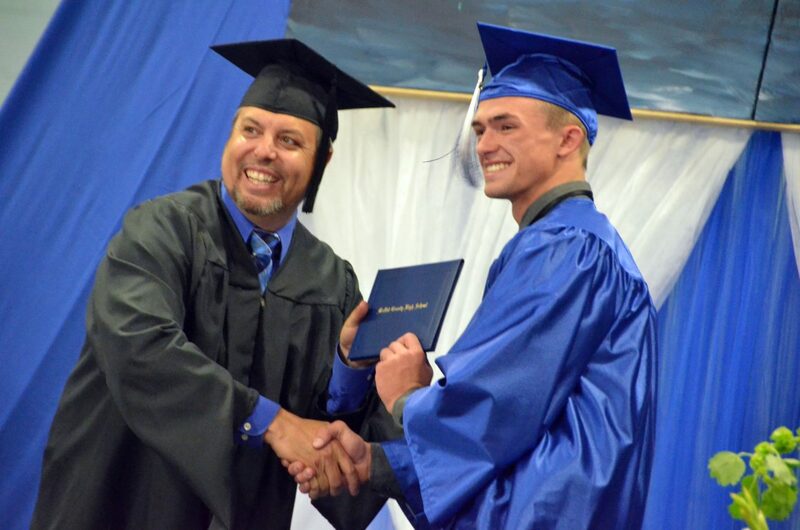 Moffat County High School's Tane Pierce receives his diploma during Saturday's graduation ceremony. 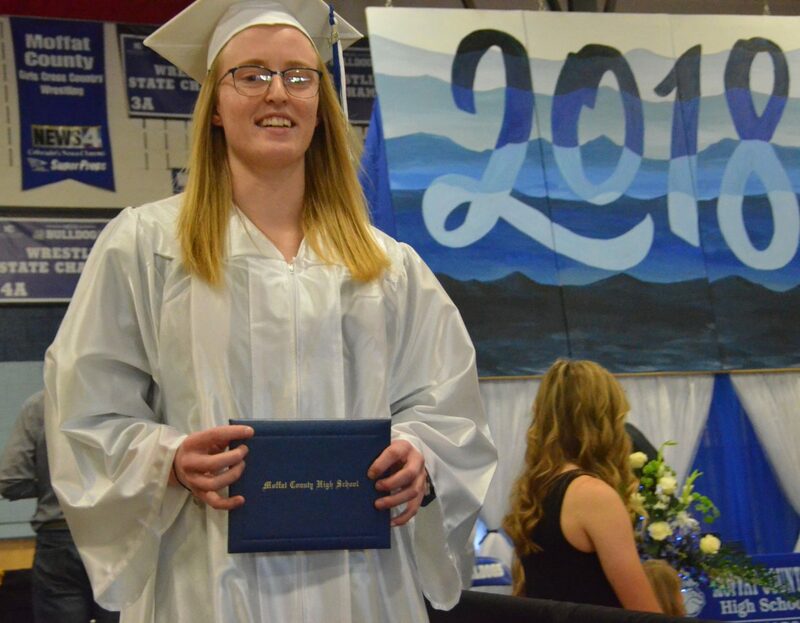 Moffat County High School's Brooke Gumber heads off the stage after receiving her diploma during Saturday's graduation ceremony. Moffat County High School's Makenna Baker exits the stage after getting her diploma during Saturday's graduation ceremony. 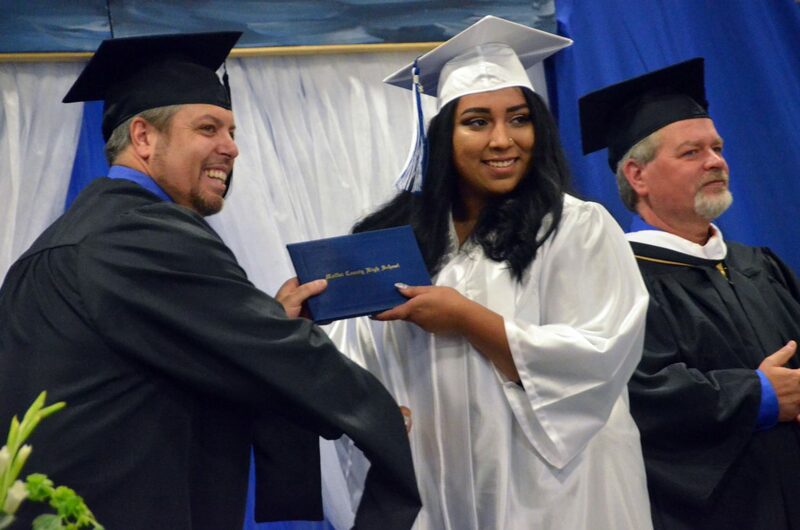 Moffat County High School's Yahaira Cordero-Alcantar receives her diploma during Saturday's graduation ceremony. 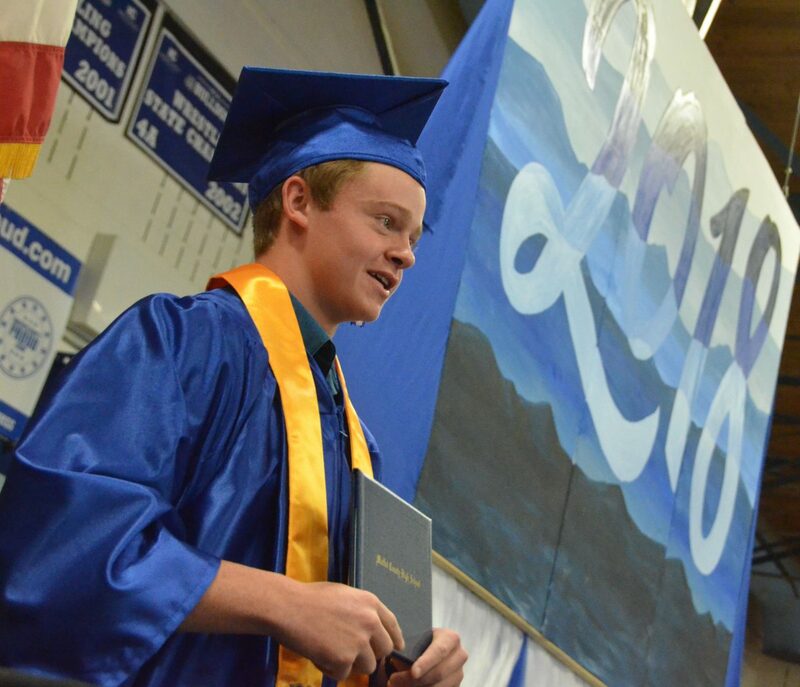 Moffat County High School's Kasen Brennise receives his diploma during Saturday's graduation ceremony. 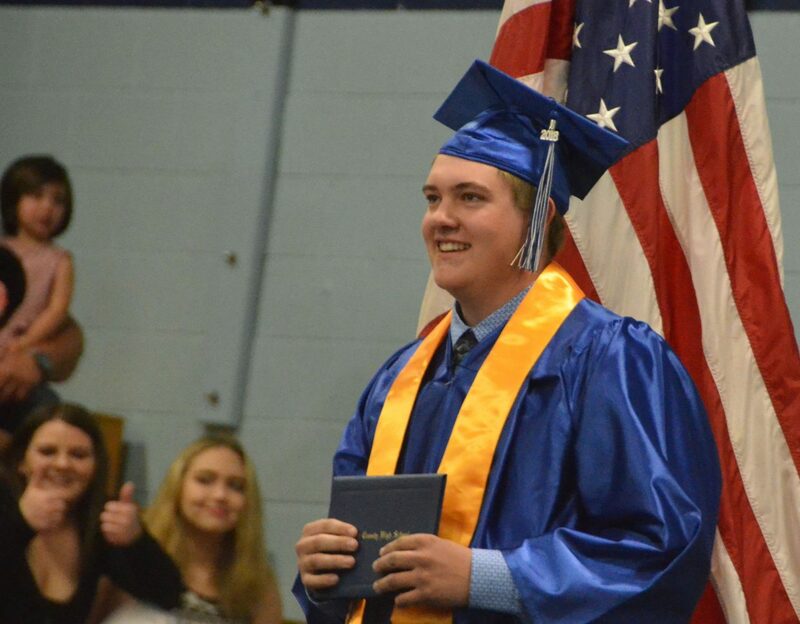 Moffat County High School's Brayden Tuttle poses with his diploma during Saturday's graduation ceremony. 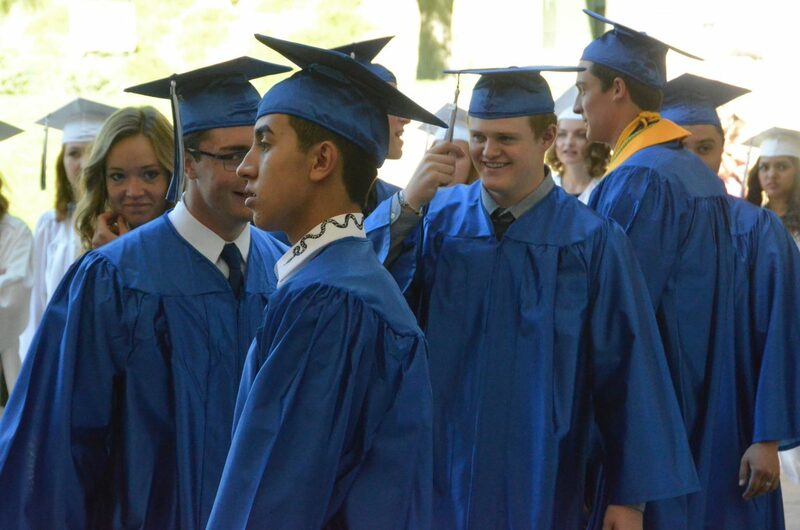 Moffat County High School's Isaac Trevenen receives his diploma during Saturday's graduation ceremony. 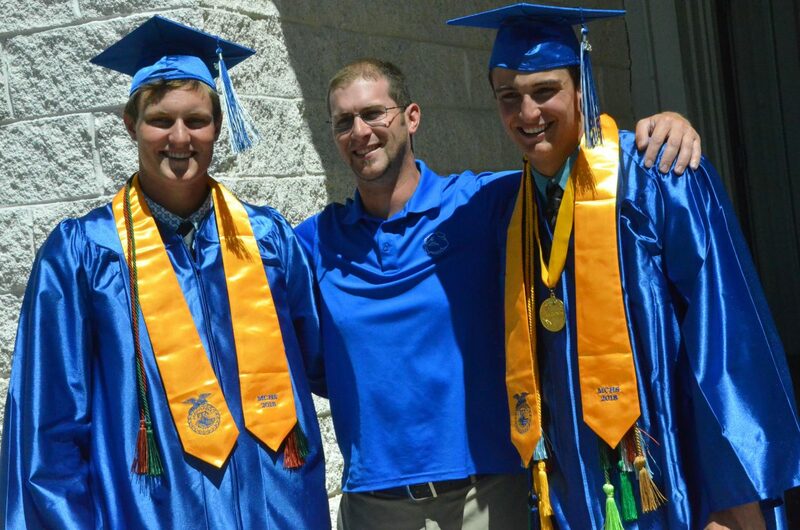 Moffat County High School graduates Toryn Hume and Colby Beckett join athletic trainer Marshall Kraker after Saturday's graduation ceremony. 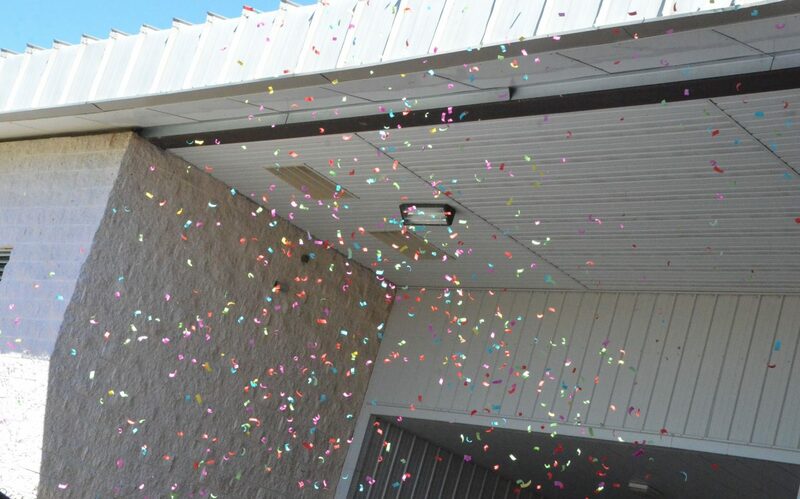 An explosion of confetti hits the air following Saturday's graduation ceremony at Moffat County High School. 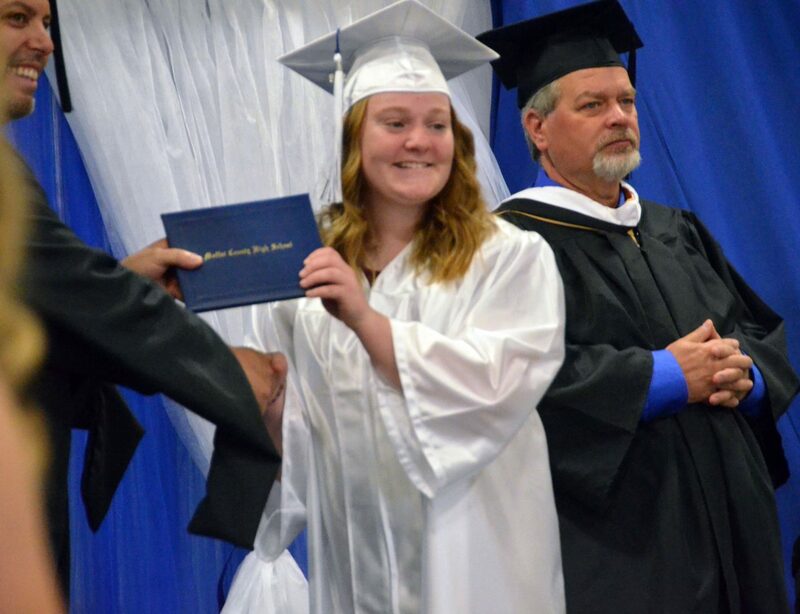 Moffat County High School's Kaitlyn Ahlstrom is the first to receive her diploma during Saturday's graduation ceremony. 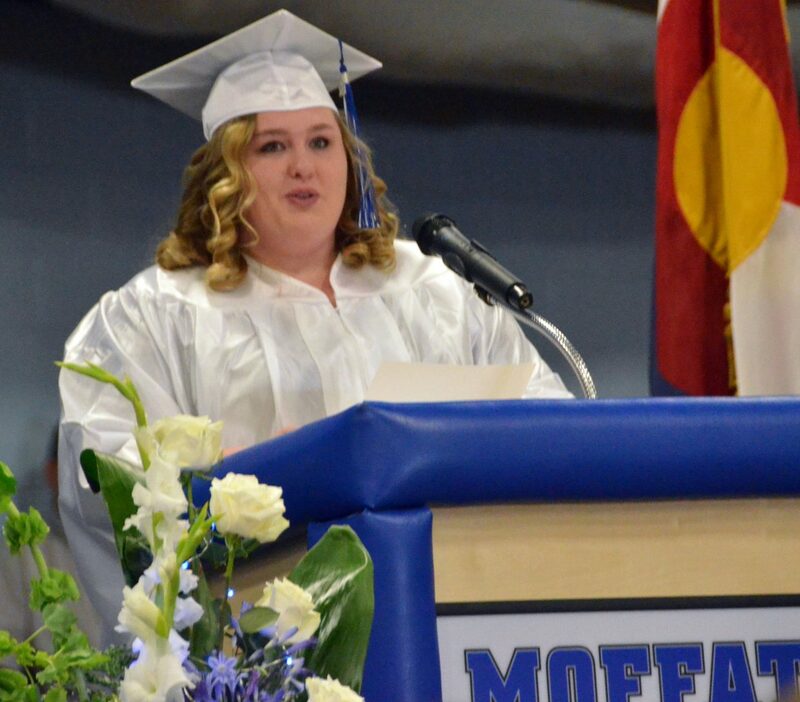 Moffat County High School's Sammi Beaver delivers the farewell address for Saturday's graduation ceremony. 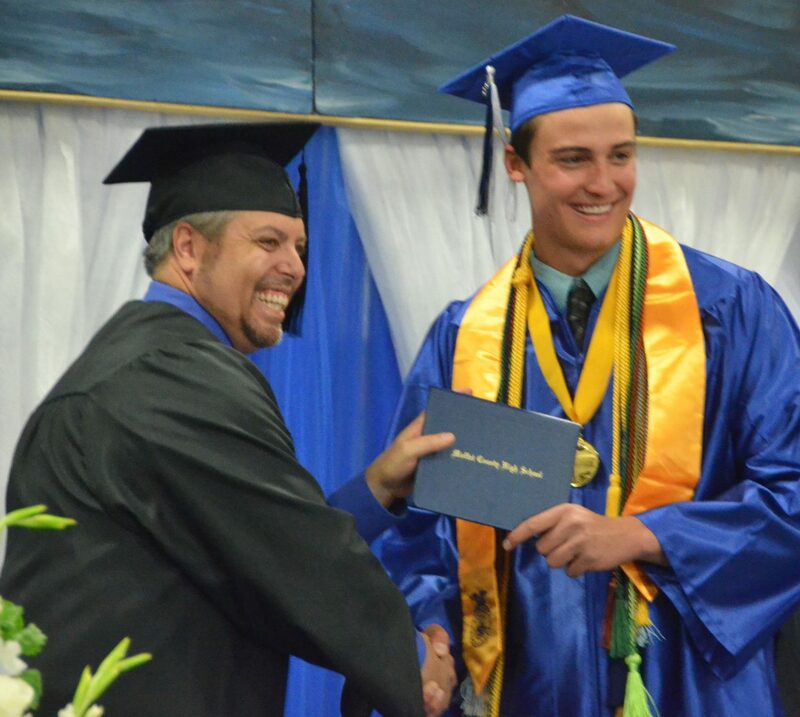 Moffat County High School's Chris Moschetti pauses for a photo after receiving his diploma during Saturday's graduation ceremony. 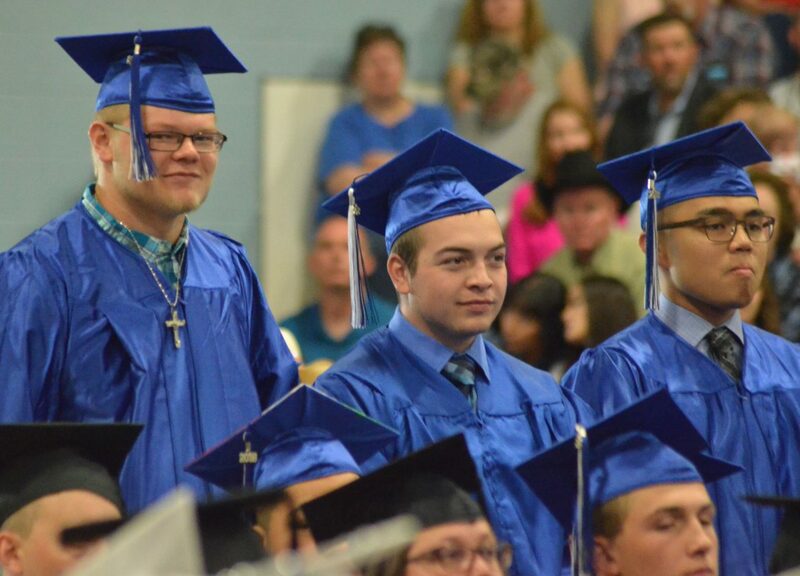 From left, Moffat County High School's Zane Shipman, Robert Schmidt and Leon Sanderson stand for acknowledgment as incoming military during Saturday's graduation ceremony. 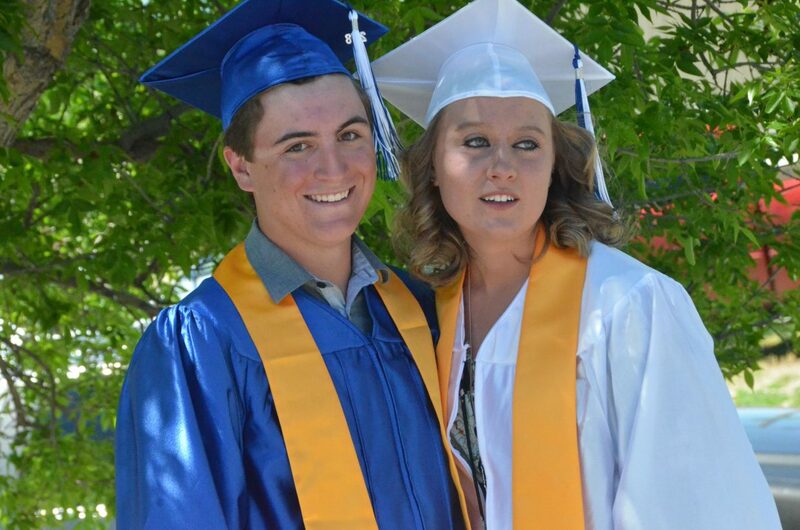 Moffat County High School's Tristan Farquharson and Kaylee Springer gather for one final photo after Saturday's graduation ceremony. 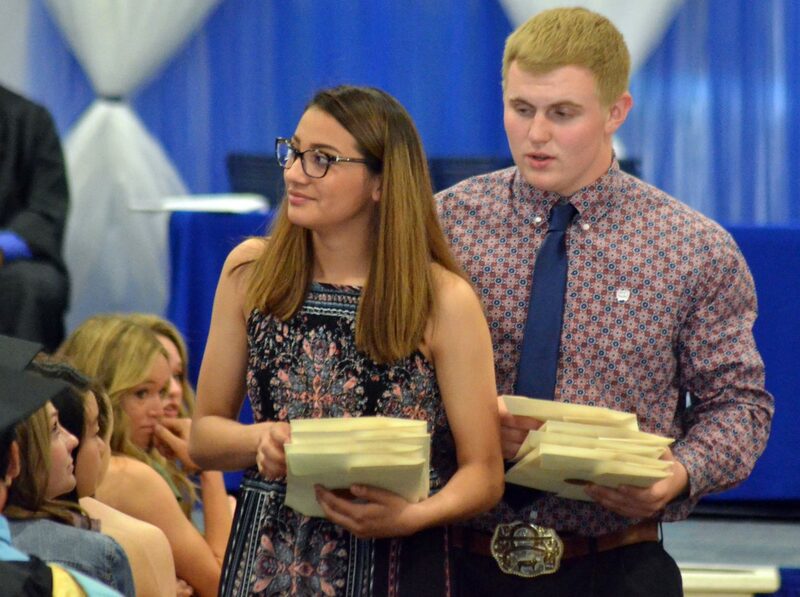 Moffat County High School junior class escorts Alyssa Chavez and Jared Baker pass out scholarship packages during Saturday's graduation ceremony. 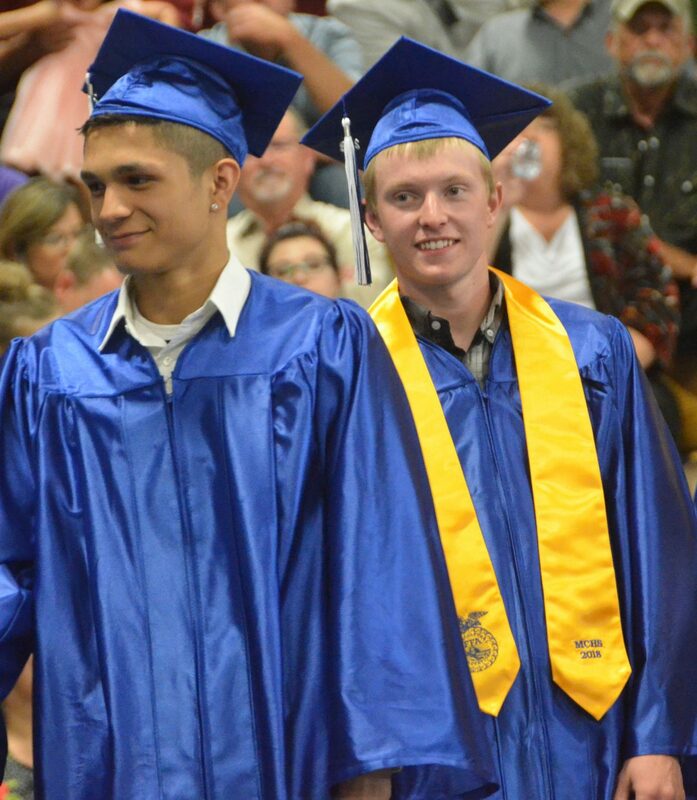 Moffat County High School's Alex Nevarez and Blake Nelson ready to head on stage during Saturday's graduation ceremony. 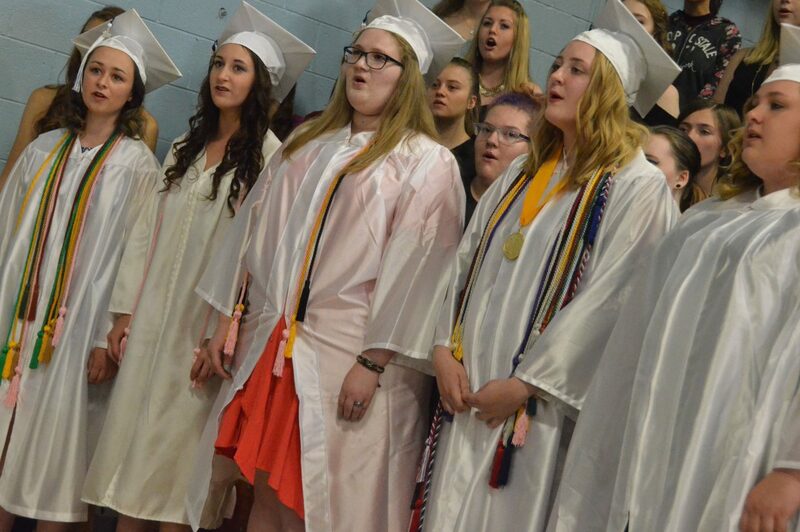 Senior members of the Moffat County High School choir program perform during Saturday's graduation ceremony. 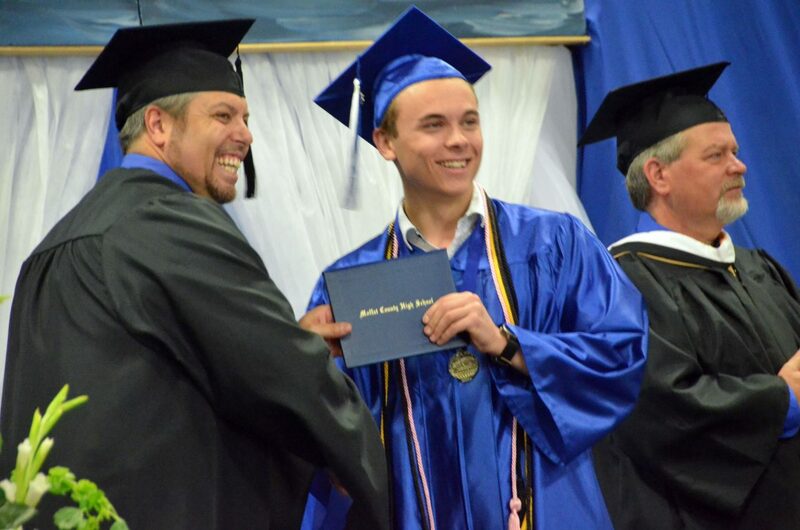 Moffat County High School Class of 2018 valedictorian Colby Beckett receives his diploma during Saturday's graduation ceremony. 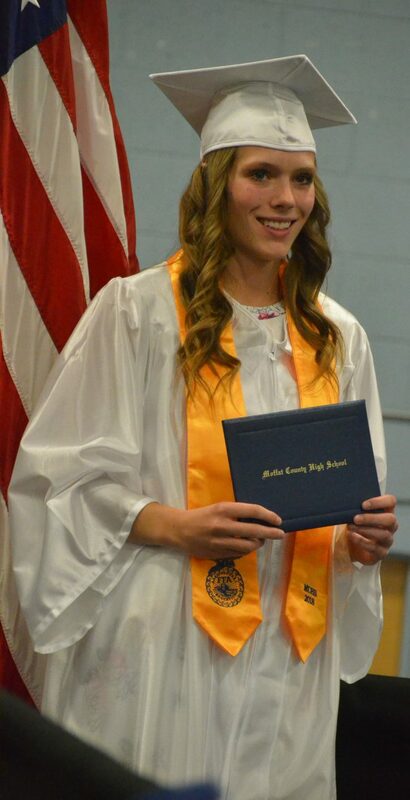 Moffat County High School's Jaci McDiffett poses with her diploma during Saturday's graduation ceremony. 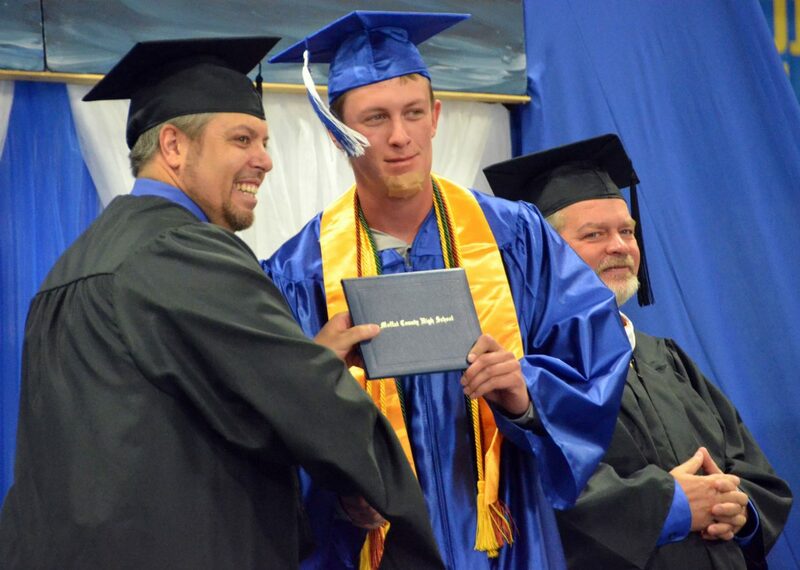 Moffat County High School's Devin McIntosh receives his diploma during Saturday's graduation ceremony. 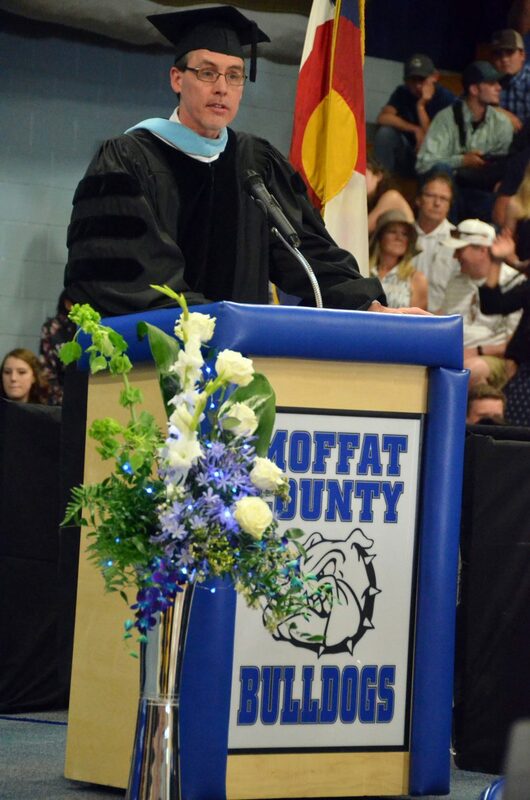 Moffat County School District Superintendent David Ulrich announces the start of diploma distribution during Saturday's graduation ceremony at Moffat County High School. 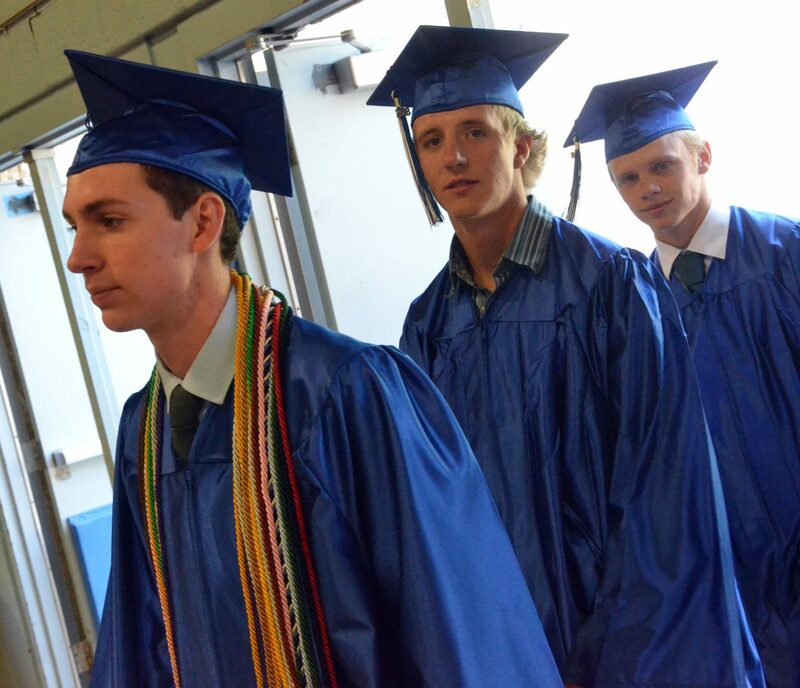 Moffat County High School's Grant Wade, Tristen Walls and Adain Wilmot bring up the rear entering the gym during Saturday's graduation ceremony. 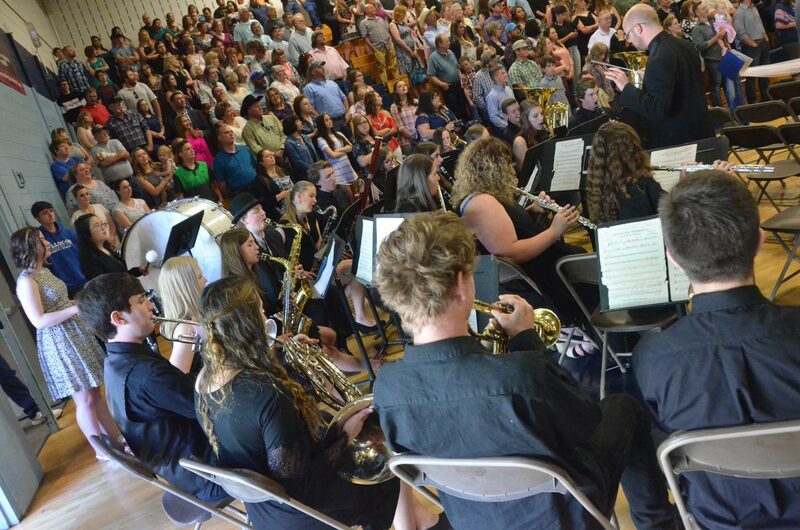 The Moffat County High School band performs the national anthem during Saturday's graduation ceremony. 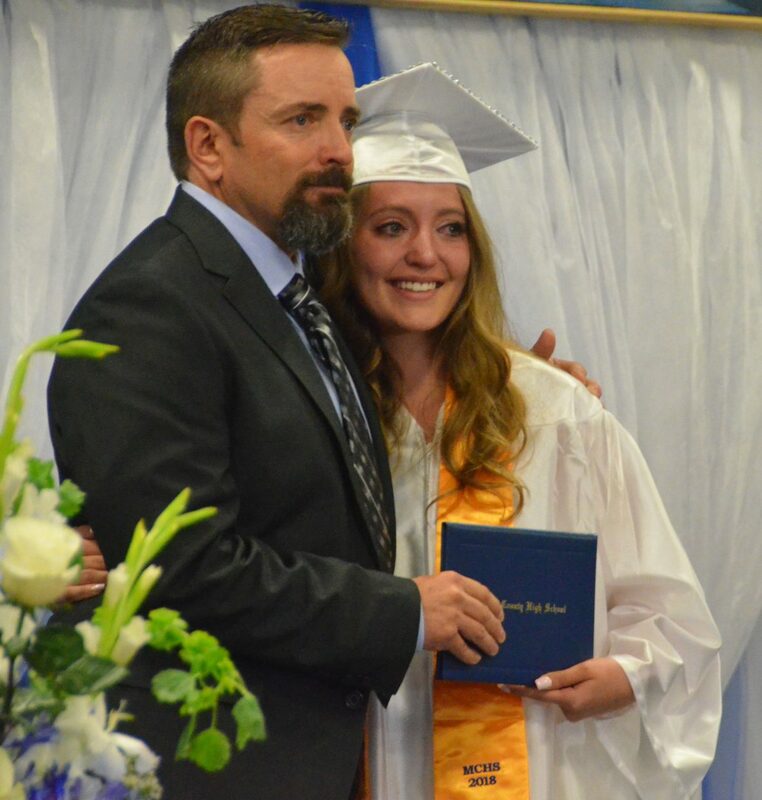 Moffat County High School's Kinleigh McIntyre gets emotional after receiving her diploma during Saturday's graduation ceremony. 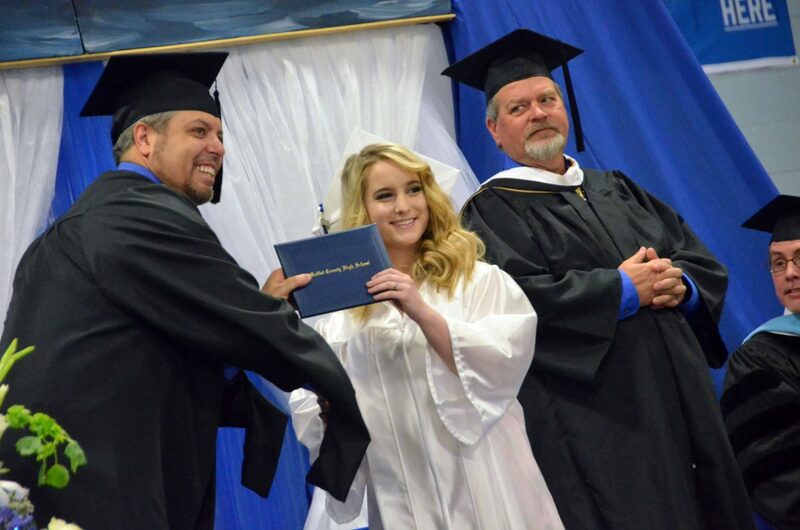 Moffat County High School's Madison Burch receives her diploma during Saturday's graduation ceremony. 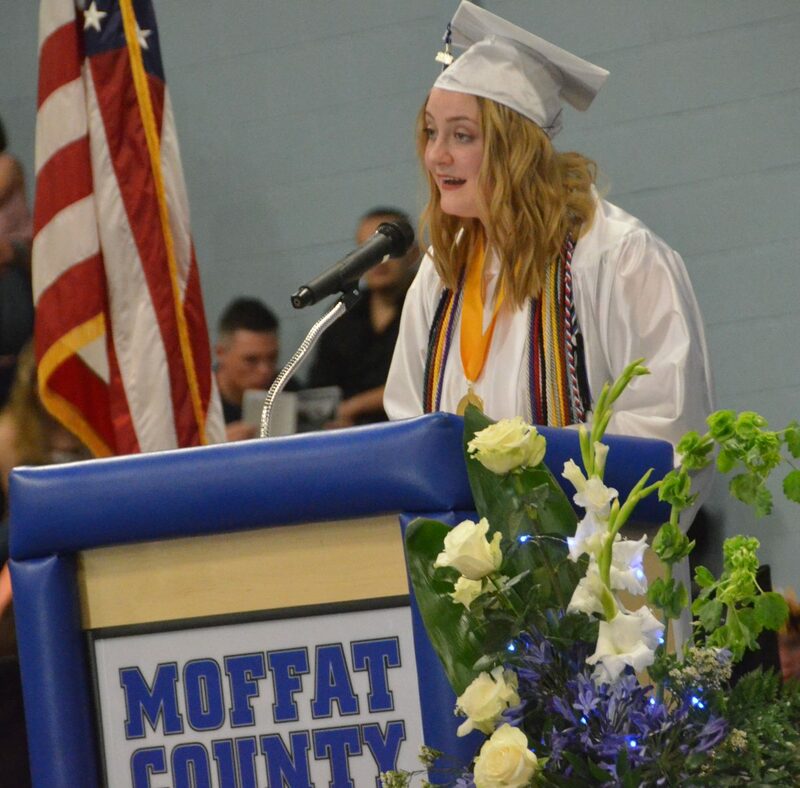 Moffat County High School's Olivia Neece gives the commencement address during Saturday's graduation ceremony. 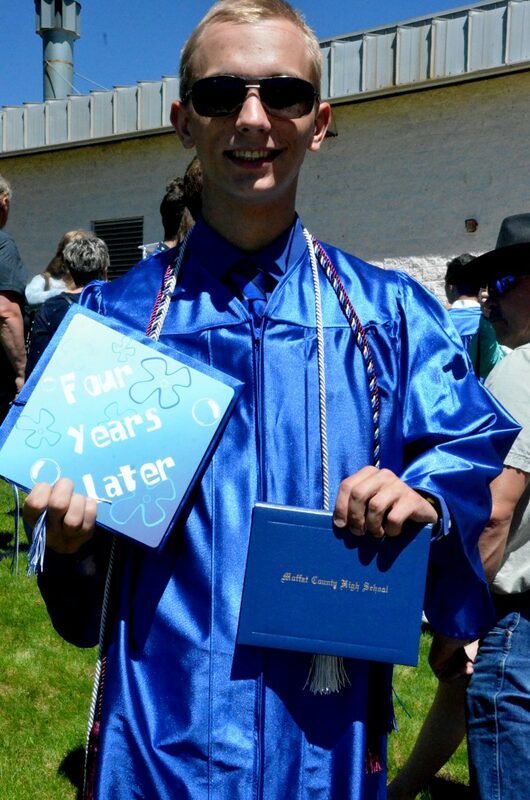 Moffat County High School's Jacob Briggs displays his diploma and his customized mortarboard after Saturday's graduation ceremony. Moffat County High School students mill about and get in line for entry into Saturday's graduation ceremony. 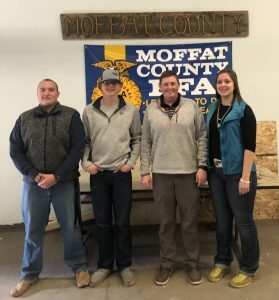 A few steps across the stage coupled with an abundance of photos and all of a sudden the next phase of life was upon Moffat County High School seniors. And, the Bulldogs were more than ready for it. 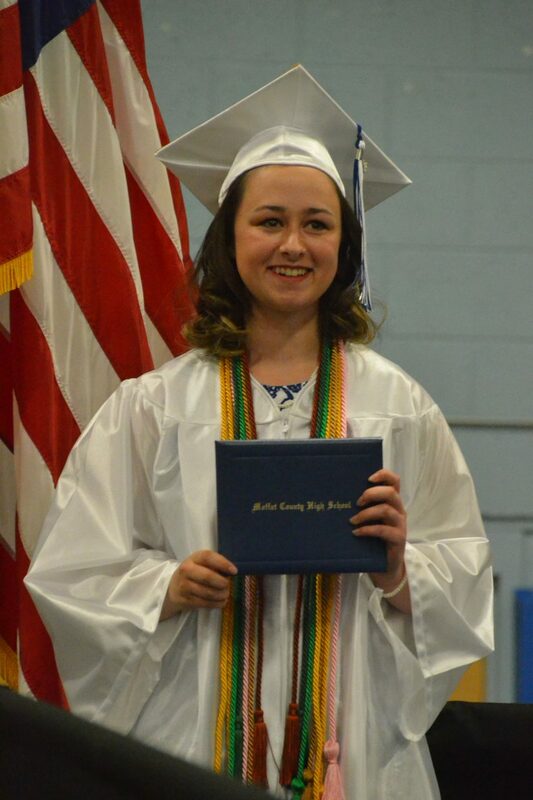 MCHS’s annual graduation ceremony Saturday served as a celebration of academic achievement and transition into adulthood as students accepted their diplomas and prepared for everything to come. After an introduction by Principal Kyle York and welcome by graduate Sammi Beaver, an acknowledgment of scholarship recipients — including $61,000 from local sources — honor students and future military members was followed by presentation of the class gift — school spirit window decals — by salutatorian Olivia Neece and the presentation of Outstanding Senior Girl and Boy. 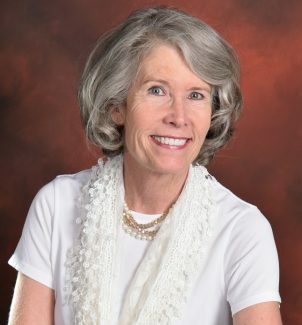 The honor was given to Neece, many cords around her gown, indicating theater, student council, band, speech and debate and more. 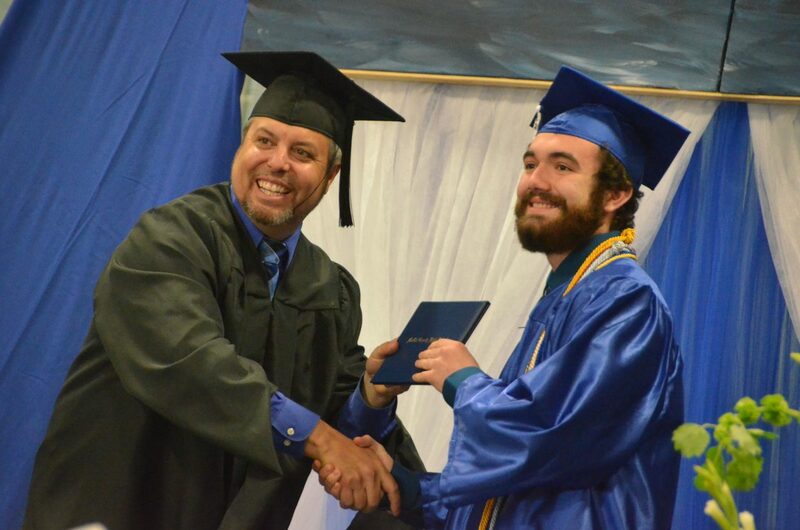 English instructor Keith Gille introduced the male student, whom he saw a great deal of during his time with the football and baseball teams, valedictorian and Lewis “Dude” Dent Memorial Award winner Colby Beckett. “I challenge every one of you to prove every person that has told us that, that they are wrong. 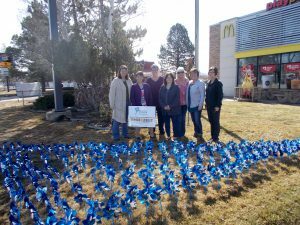 This is just the beginning,” she said. 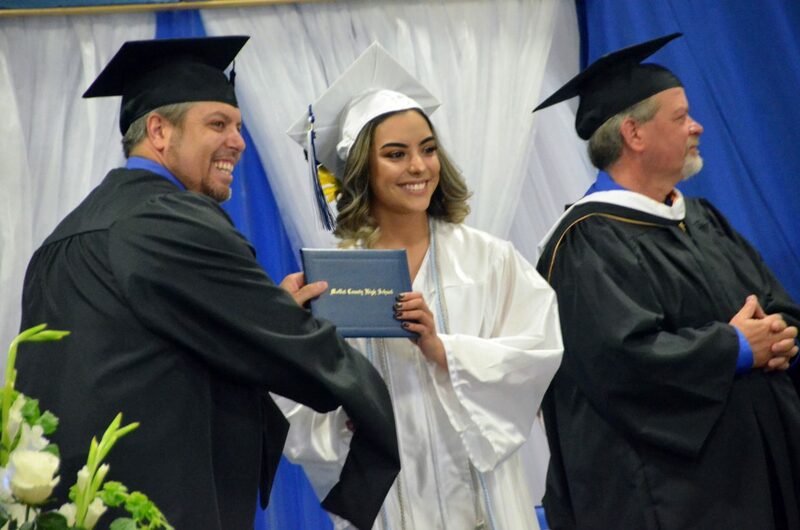 After a performance by the MCHS choir came the distribution of diplomas, and for some Moffat County grads, the occasion almost didn’t happen. Kasen Brennise strode into the gym that morning sporting a walking cast on his left foot and a large bandage on his chin, compliments of an accident less than 24 hours before at the Colorado State High School Rodeo Association state finals that also gave him a concussion. 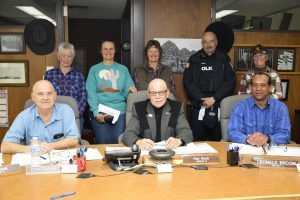 Being able to attend the ceremony was iffy shortly after the incident, though Brennise said he wasn’t going to miss the rite of passage if he could help it, only a minor hitch in his gait thanks to the rope that snagged him by his ankle. With tassels turned, caps thrown and a raucous celebration once all was said and done, Beaver took the stage again for the class farewell, touching on shared memories good and bad. Outside on the school’s west lawn, graduates met with parents and pals to discuss their plans, both for the day and for, well, life. 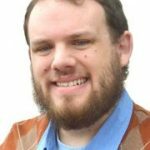 Dylan Howlett said he plans to gain employment in Texas as a tire technician, though the shift won’t be without some sadness. “I think I’ll most remember family and friends here,” he said. Likewise, Kaylee Springer will be pursuing training in the veterinary field in Curtis, Nebraska, her time in high school extracurriculars a big factor in her career plans. “I’ll most remember all those FFA trips,” she said, noting her gold placement at state in the program. Other grads are still considering their options for the future. 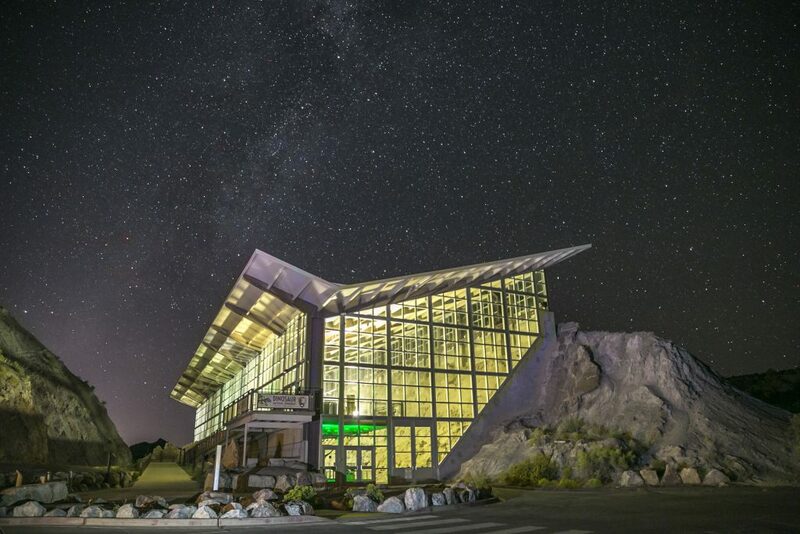 Jaycee Holman said she’s currently focused on a summer job as a lifeguard at Craig Pool Complex, in the meantime thinking about what else may be down the road. And, the way she sees it, there are plenty of possibilities. “It’s all wide-open,” she said.